My Real Body Fat…What Is It? The Intelametrix’s BodyMetrix Ultrasound scanner will tell you your true fat thickness whether you like it or not. That’s why you want the most accurate, technologically advanced, easy to use, and non-invasive body composition tester available. It’s as easy as using a few drops of ultra sound gel on the hand held scanner. No pinching like the typical calipers that have been used for years. In fact, the BodyMetrix is so easy and accurate to use the main reason you don’t see it in widespread use is the initial cost of the device. 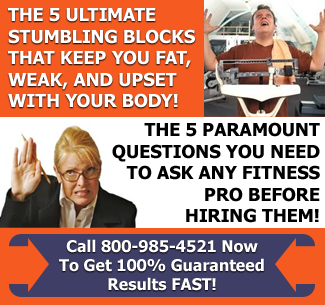 I’m happy to let you know that Personal Training In Marin is now implementing this new state of the art technology…click below for more details. I’m sure many women have experienced the use of ultrasound. It’s painless and can provide a lot of vital information. In this case, the ultrasound waves rebound off different muscle sites giving you exact measurements in millimeters. Your thickness of adipose tissue (fat) is measured subcutaneously for each measurement site. Ultrasound bounces sound waves through dividing lines of fat, muscle, and bone which is extremely important. Remember that muscle is metabolically active, so the more muscle you are able to build the more calories you will burn around the clock. When you have an accurate level of fat and muscle you can improve your health and optimize your performance. Lets face it…weighing yourself doesn’t tell you if you’ve lost fat or muscle. Also, skinfold measurements can be very unreliable because of fat underneath the skin and the skill level of the practitioner. Since your muscle is metabolically active, you do not want to lose lean muscle. You want to preserve muscle and continue to build muscle to burn more calories while remaining fit and strong. The BodyMetrix helps you to track whether you are making real improvements in your health or just losing vital lean tissue. The Bodymetrix software allows you to track your progress over time to see if your training and nutrition is effectively working. Your calorie needs are calculated including your BMR (Basal Metabolic Rate) with the option of including exercise or not. There are 3 types of body choices you can use for measurements: athletic, non-athletic, and elite. The non-athletic body type will find the BMI (Body Mass Index) useful in determining a healthy waist to hip ratio, but the athletic and elite body types will wamt to use the lean mass to fat mass differences to improve health and optimize performance. There are primarily 3 top body fat measurement devices: the DEXA (X-ray absorptiometry), BodPod (air displacement), and BodyMetrix (hand-held ultrasound). The DEXA is a $20,000 machine which does emit radiation. The Bod Pod is also extremely expensive around $25,000+, but the BodyMetrix Ultrasound machine is just as accurate as the DEXA and Bod Pod yet a fraction of the cost….usually around $2,000. Simple, quick, and comfortable to operate. Is not affected by hydration levels, exercise, or caffeine intake. If you have the opportunity to test drive the BodyMetrix you will appreciate the ease of use. 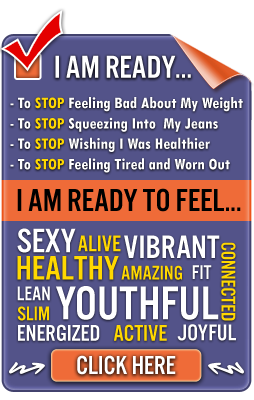 Yet, more importantly the data that you collect will provide a baseline for improving your health and fitness. 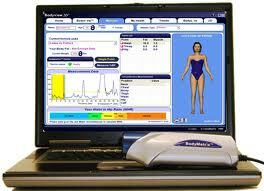 You will have the capabilities to monitor, measure, analyze, and record body fat and circumference measurements. You can even scan a specific site and compare those scans on a quarterly or semi-annual basis. The customize reports include: body fat percentages, weight, BMI, BMR, recommendations, disease risks, weight and body fat trends, and thickness point trends. Your BodyMetrix ultrasound device will elevate your health and help optimize your performance and goals.